Hi my dear friends! Today Design Birdy and I representing the new and very interesting project -Classic Jacket for all cases. 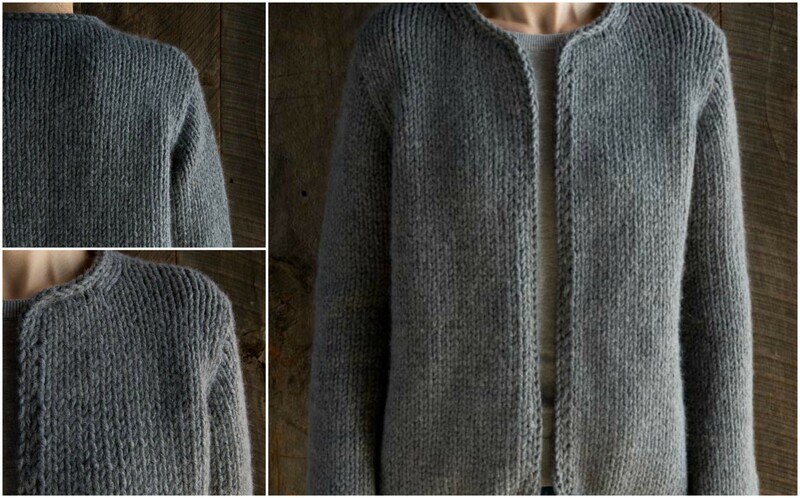 Classic Knit Jacket embraces the Japanese aesthetic principle of kanso. Kanso is the idea that a sense of grace and calm emerges from designs that are pared down to their most basic forms. Knit from the top down with set-in sleeves, construction as easy as can be. Simple, elegant, and refined – this garment is beautiful and fashionable. You can make jacket besides the grey in different colors – black, brown. You can find all instructions and picture tutorial under the text. After fulfilling this project, you can share with it. You can share this article to your friends, if you like it. Good luck to you and enjoy with pleasure of good knitting.